We listen to a conversation Marc had last week at the Enoch Pratt Free Library with Wes Moore about his new book The Work: My Search for a Life That Matters. 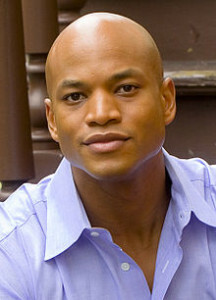 From the author of the bestselling The Other Wes Moore comes the story of how Moore traced a path through the world to discover the meaning of his life and how he found that meaning in service. He tells stories about the people he met along the way and the remarkable change makers who’ve found deep meaning in their work. Their lessons, as well as his own experiences, show that our truest work happens when our personal talents and ambitions meet the needs of the world around us. Wes Moore is a Rhodes Scholar who also served as an Army Officer in Afghanistan and worked as a special assistant to Secretary Condoleezza Rice at the State Department as a White House Fellow.